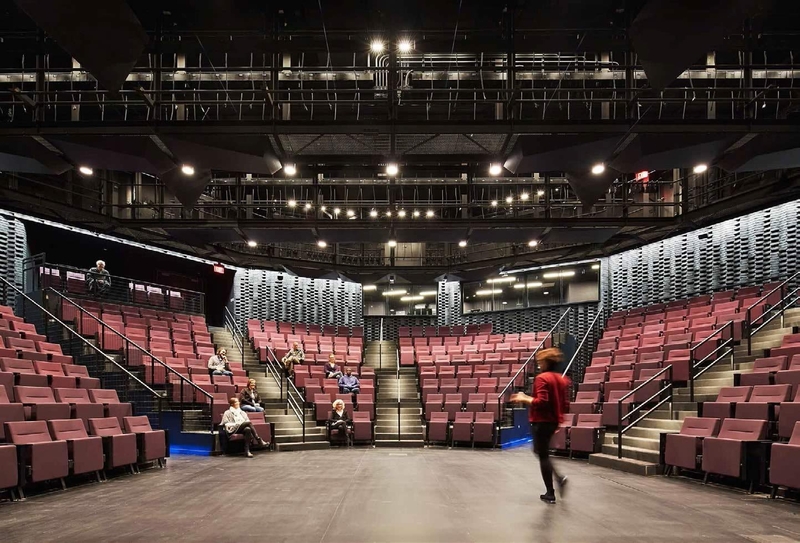 Chicago’s theater scene has been waiting with bated breath for the opening of Studio Gang’s Writers Theatre. Located in Glencoe, Illinois, the Writer’s Theatre has been a staple in Chicago and the north shore’s theater community for over 20 years; they opened their first space in a bookstore in 1992 and expanded to a 108-seat theater in 2003. 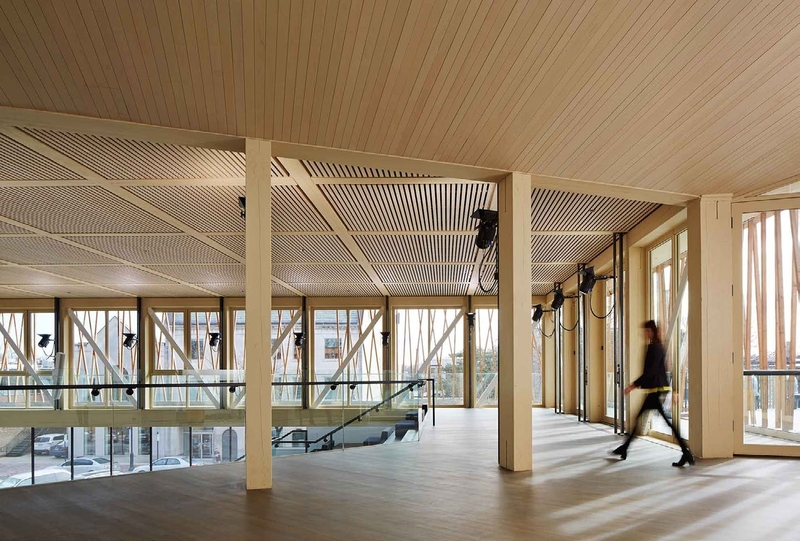 After running a successful $34 million campaign, the theater was able to expand even further — this time by collaborating with Jeanne Gang, FAIA, to create a world-renowned space. The final structure is a series of formal and flexible spaces that programmatically form into a community-gathering place. 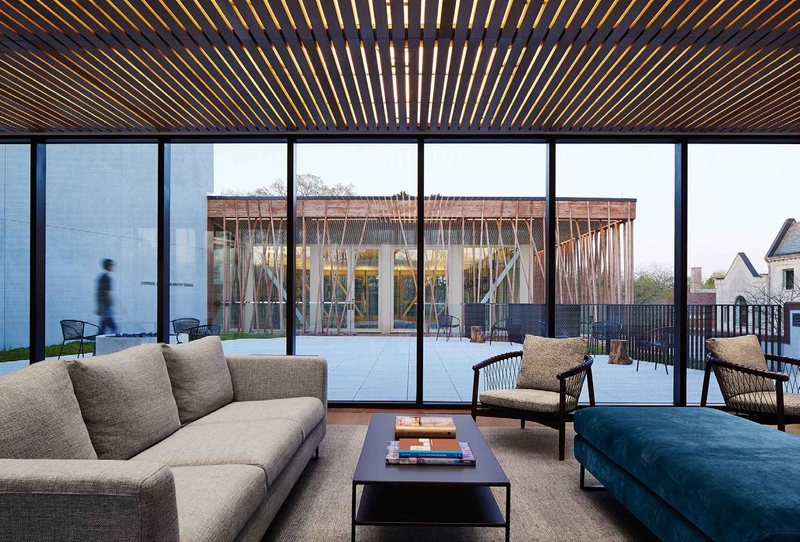 While technical needs of today’s theaters require opaque volumes that are often closed off from their surroundings, the new Writers Theatre project called for an open approach in order to also serve as a community hub. 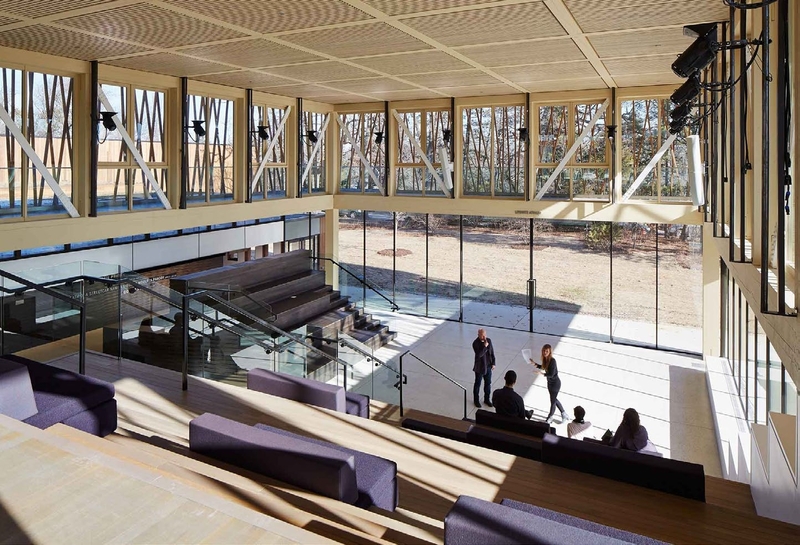 The building’s multi-purpose social gathering space serves as a prelude to the formal performance spaces; this way, the theater company is able to maintain the intimate relationships between visitor, theater-goer and the performers.